employment Archives - Gallagher Law Group, P.C. Should I Consent to a Non-Compete Restriction in a Separation Agreement? Is Severance You Have Been Offered Worth Non-Competition Limitation? 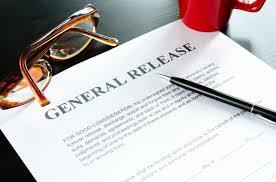 There are a number of critical determinations to be made when you receive a Separation Agreement offering you severance in exchange for a Release and assent to comply with a set of restrictive covenants, typically confidentiality, non-competition and non-solicitation. How Do I Know if I Previously Signed a Non-Compete Contract? The first thing to ask yourself is: Have I previously signed an Employment Agreement that includes such restrictive covenants? Chances are, if you have, it will be referenced in the Separation Agreement. Otherwise, you can ask HR. If you have signed such a contract, and it is governed by Pennsylvania law, it is possible that any non-competition covenant you previously consented to will be void if you do not sign the Separation Agreement. How is that? Well, under Pennsylvania law, an employee that as been laid off, subject to reduction in force or let go to due to alleging poor performance has, in the eyes of the law, been deemed a “worthless employee” so that the non-competition covenant is considered void. Here is something else to bear in mind. 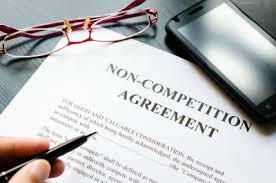 If, months or years after you start your job you’re suddenly offered a non-compete agreement, you have to receive what is known as “additional consideration” in order for the contract to be valid. 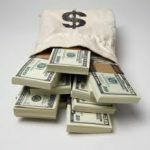 Additional consideration can be as little as $100, but it must under any circumstance be something in addition to any benefits or compensation you had prior to signing the contract. Will I Waive Any Argument That my Restrictive Covenant is Void if I Sign a Separation Agreement? If either of the above situations applies, you may not be bound by the non-compete agreement unless you sign the Separation Agreement. That is so because, if you should thereafter sign a Separation Agreement wherein you affirm the enforceability and your agreement to abide by the restrictive covenants found within your Employment Agreement, you will have waived both the “worthless employee” and “additional consideration” defenses. That is because you will have received new consideration, the severance payment, in exchange for your consent to the efficacy of the prior restrictive covenants. 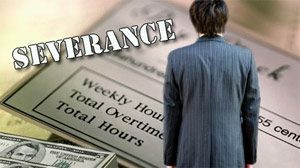 Does the “Severance” Offer Include Payment of Things You Have Already Earned, Such as a Bonus or Vacation? I Do Not Have a Non-Compete Agreement – Should I Agree to One in Exchange for Severance? If you have never signed any restrictive covenants, you have to determine whether the severance pay you have been offered is worth the restrictions. The problem with non-compete agreements is not always their enforceability but, rather, their deterrent effect where new employment is concerned. 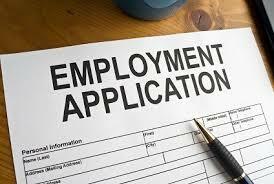 Simply stated, employers are hesitant to hire prospective employees who are limited by non-compete agreements. If My Non-Compete is Not Enforceable, How Can I Get a New Job? Is My Non-Solicitation Agreement Enforceable or Void Because it is Overbroad? Where people who are in customer facing positions are concerned, such as salespersons, a non-solicitation covenant can be deadly. That is so because it will prohibit such persons from contacting their client base during the course of the first year or more of their new employment. Restrictive covenants such as those discussed above are very important to employers. Therefore, you should think very carefully, and likely contact counsel, if you are confronted with either of the scenarios described above. John A. Gallagher, Esquire is an employment lawyer who has represented Pennsylvania employees since 1991. Call 610-647-5027 for a free telephone discussion.